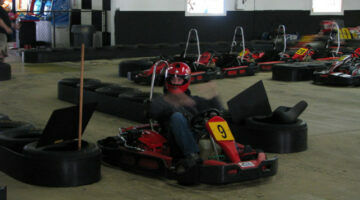 I’ve been to several stock car races, sprint car races, and other car racing events. I recently attended my first NASCAR race. Here are 6 things I learned. 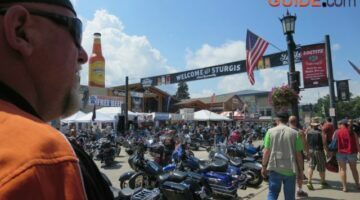 The first time I went to the Sturgis Motorcycle Rally, I didn’t know what to expect. Here are the things you must see, must do & must put on the bucket list. Planning your first trip to Cape Cod Massachusetts? I’ve compiled a long list of tips and must-see places for your Cape Cod vacation, including South Boston. Insider tips from a frequent traveler who’s had a great time exploring the Big Easy.Wondering about things to do in New Orleans? I’ve got 5 tips for you! Going To New York City Soon? Here Are 16 Free Things To Do In NYC! From TV show tapings and ferry rides to walking tours and art galleries, here’s a great list of FREE things to do in NYC – my personal favorites! Would you believe the 10 tallest skyscrapers in the U.S. are all in Chicago and New York City?! Here are fun facts about each one of them. The best roller coasters are the ones that turn your stomach and give you a real scare. 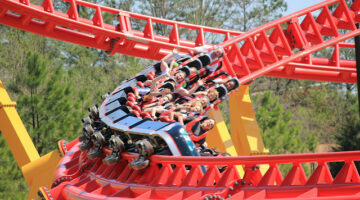 These are the top 9 scary roller coaster rides in the U.S. 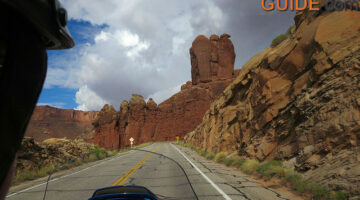 Wondering what it’s like to take a scenic drive through Arches National Park near Moab Utah? Here are photos + tips if you want to see arches WITHOUT hiking to them. I’m a Tampa Florida native. These are my top picks for the best things to do in Tampa FL, along with my insider tips for visiting each one! 12 things that are among the most fun things to do in Tampa and ways to save money while you’re at it. You get a little bit of everything, beaches, museums, sports, and more in Tampa — check it out! Love visiting and/or vacationing on the water? Here are my picks for the best beaches in the U.S. that you’ll definitely want to see! For your bucket list. 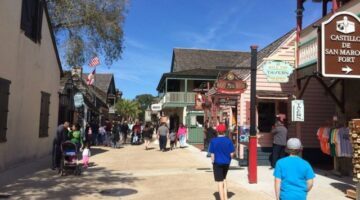 See why these 5 St. Augustine attractions should be on your must-see list if you visit Saint Augustine Florida, the oldest European-settled city in the U.S. Downtown St. Augustine offers a lot of history and some amazing museums as well. Make sure you head to the beach as well! Here are my personal tips on how to find a fall festival near you. Plus things you should bring along so you can have more fun at fall festivals. 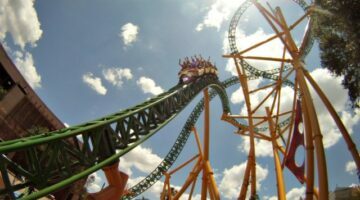 See why these are the 7 top amusement parks in the U.S. (outside of Orlando, FL), according to a habitual theme park visitor and roller coaster enthusiast! See where some of the best indoor go kart tracks are in the United States, and learn some tricks from the experts on how to drive your go kart faster. Don’t believe all the hype. 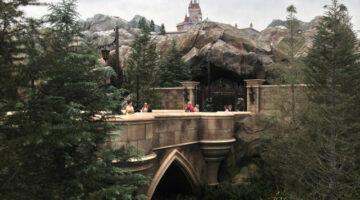 Be Our Guest restaurant reservations are extremely difficult to get – but not impossible. These are my honest-to-goodness proven tips for getting reservations. Worked for me… and can work for you to book your Be Our Guest reservations. Want To Go Cave Trekking? 5 Cavern Parks Where You Can Take Your Adventure Travel Underground! Want to go spelunking? (That’s cave trekking!). Check out this list of five great cavern parks located throughout the United States where you can explore fascinating stalactites, stalagmites, soda straws, and more. 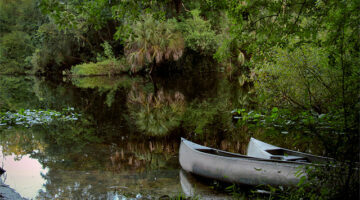 Want to go on a fun and cheap nature adventure in Florida? Canoeing is one of the best ways to see the Sunshine State from a completely different angle – and I (almost) promise you’ll see an alligator! Have you ever wanted to swim with manatees? This article explains exactly how you can legally go swimming with manatees as well as where and when you can do this fun and unique activity. 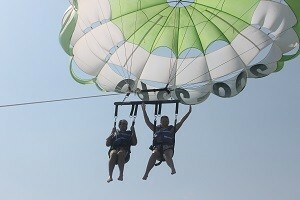 if you have ever thought about going parasailing in Florida, then you will want to check out this guide on what to look for when shopping around for parasail operators and what you can expect when you’re enjoying the experience. 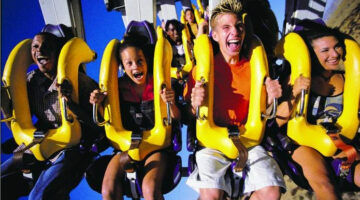 What do you think the first theme park in Florida was? Disney? Busch Gardens? No – it’s neither one of those. But, you can still see historically preserved remnants of this beautiful park. Want to find out more? Read on! 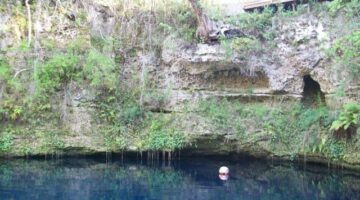 Deep in the woodlands of the Sunshine State is Blue Grotto, a Florida sinkhole that serves as an ideal spot for open water divers and geological explorers. Find out more about this unique natural landmark and where you can find it during your next road trip in North Central Florida. While some people are skeptical about visiting Indonesia due to safety concerns, Bali is really different from the rest of the country. Here are insider tips for visiting Bali and enjoying the beaches, the food, and fun family activities.